gunshot; and vocal highs that seem to soar off into infinity. and no doubt will continue to move us twenty years from now. moments, and contemplate what lies ahead. heavily on covers of popular songs. 38 gigs at the legendary venue. Flynn becomes Yes' first manager. 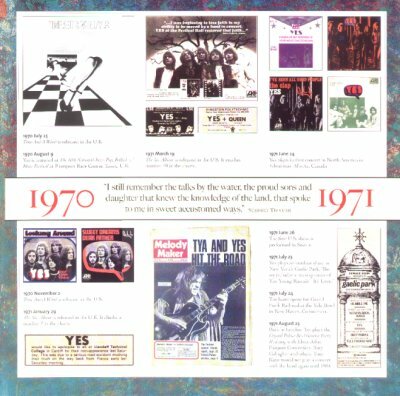 Yes supports Janis Joplin at the Royal Albert Hall. 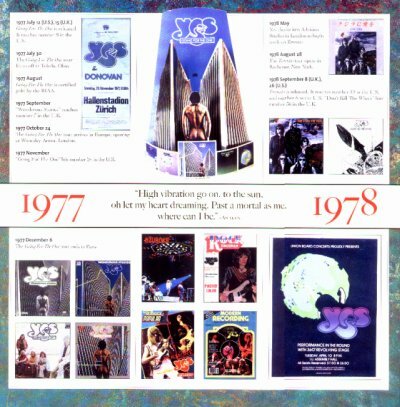 Yes' self-titled debut LP is released in the U.K. The U.S.
release follows on October 15. 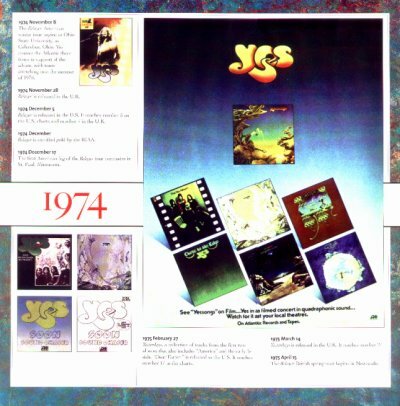 The first Yes single released in the U.S. is "Sweetness,"
backed with "Every Little Thing." Yes plays with an orchestra at Queen Elizabeth Hall. Time and a Word is released in the U.K.
Blues Festival at Plumpton Race Course, Essex, U.K.
Time and a Word is released in the U.S. The first U.S. show is performed in Seattle. 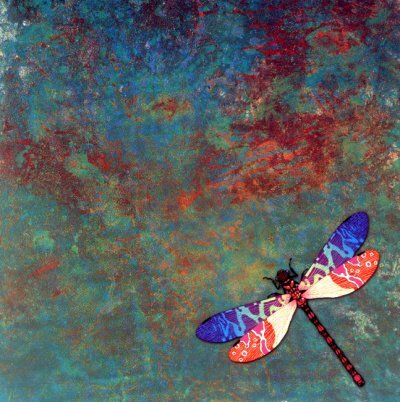 with the band again until 1984.
the art of Roger Dean. playing a rare live version of "South Side of the Sky." Fragile is certified gold by the RIAA. "Roundabout" climbs to number 13 in the U.S. charts. tune, is released as a single. show with Alan White, in Memphis Tennessee. Palace Bowl Garden Party V.
The single "America" reaches number 26 in the U.S.
Close to the Edge is released. It hits number 3 on the U.S.
charts and number 4 in the U.K. The group's fifth American tour begins in Miami, Florida. Close to the Edge is certified gold by the RIAA. 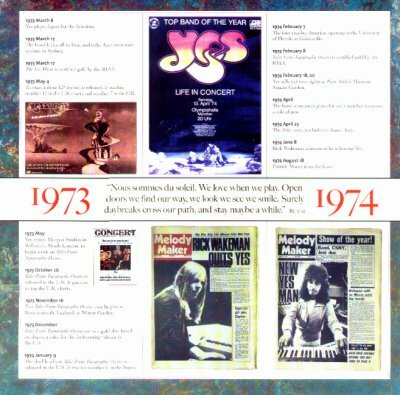 December 15 show is filmed, and later released as Yessongs. "And You And I (Part II)" reaches number 42 on the U.S. Yes plays Japan for the first time. 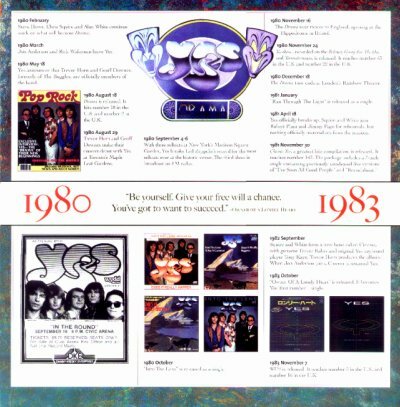 The Yes Album is certified gold by the RIAA. number 12 in the U.S. charts and number 7 in the U.K.
begin work on Tales from Topographic Oceans. goes on to top the U.K. charts. ship-out sales from the forthcoming release in the U.S.
in the U.S. It reaches number 6 in the States. Tales from Topographic Oceans is certified gold by the RIAA. 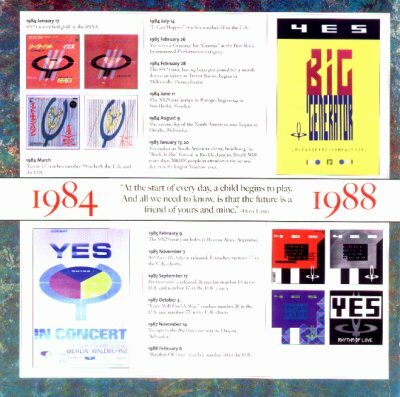 Yes sells out two nights New York's Madison Square Garden. The Tales tour concludes in Rome, Italy. Rick Wakeman announces he is leaving Yes. 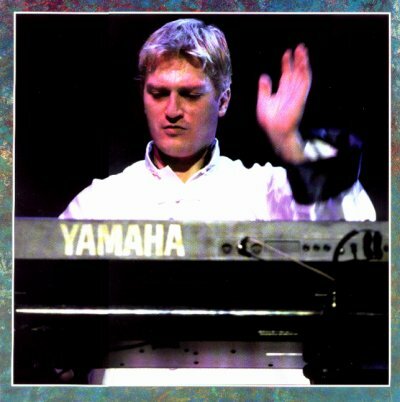 Patrick Moraz joins the band. Relayer is released in the U.K.
U.S. charts and number 4 in the U.K.
Relayer is certified gold by the RIAA. The first American leg of the Relayer tour concludes in St.
Yesterdays is released in the U.K. It reaches number 27. The Relayer British spring tour begins in Newcastle. 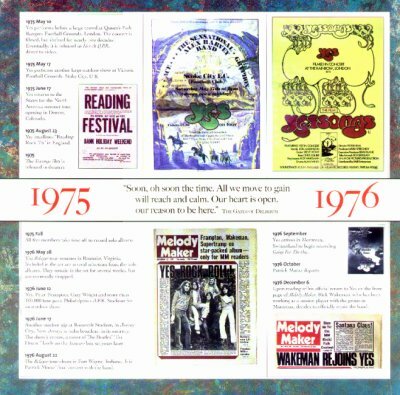 Yes headlines "Reading Rock '75" in England. 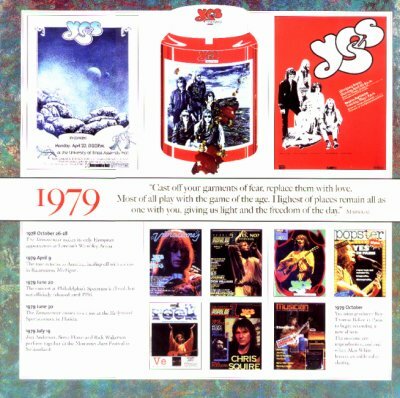 The Yessongs film is released in theaters. All five members take time off to record solo albums. pack Philadelphia's J.F.K. Stadium for an outdoor show. 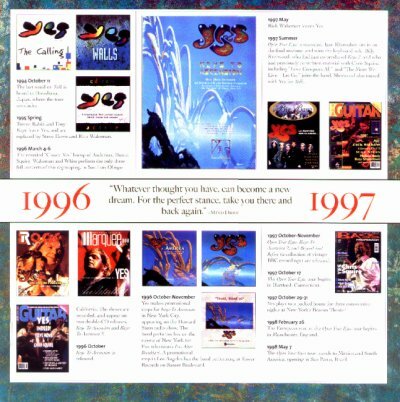 Yesyears box set years later. Patrick Moraz' final concert with the band. "High vibration go on, to the sun, oh let my heart dreaming. The Going For The One tour kicks off in Toledo, Ohio. Going For The One is certified gold by the RIAA. "Wonderous Stories" reaches number 7 in the U.K.
"Going For The One" hits number 24 in the U.K. The Going For The One tour ends in Paris. The Tormato tour opens in Rochester, New York. "Cast off your garments of fear, replace them with love. at the Montreux Jazz Festival in Switzerland. 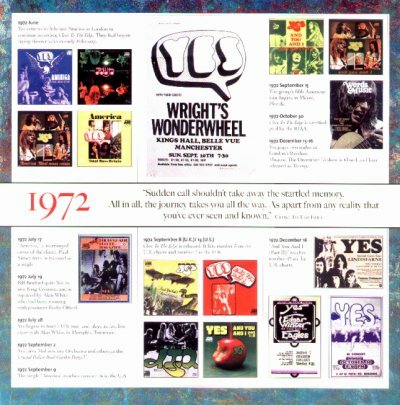 end when Alan White breaks an ankle roller skating. 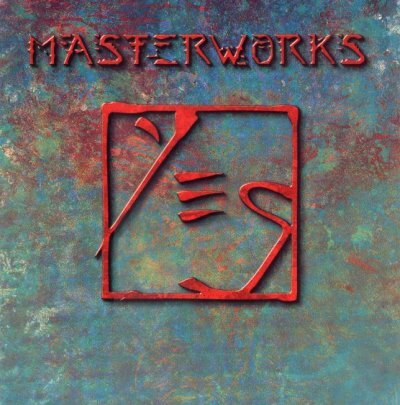 Jon Anderson and Rick Wakeman leave Yes. The Buggles, are officially members of the band. Yes at Toronto's Maple Leaf Gardens. the historic venue. The third show is broadcast on FM radio. "Into The Lens" is released as a single. Tormato tours, is released. It reaches number 43 in the U.S.
and number 22 in the U.K. The Drama tour ends at London's Rainbow Theater. "Run Through the Light" is released as a single. All Good People" and "Roundabout." joins, Cinema is renamed Yes. 90125 is certified gold by the RIAA. 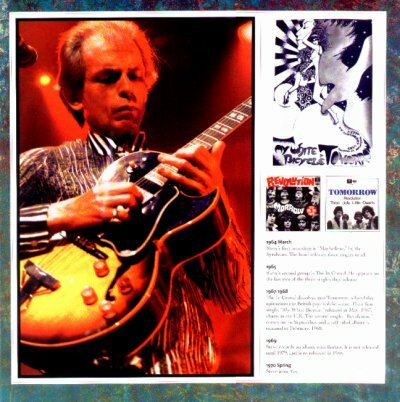 "Leave It" reaches number 24 in both the U.K. and the U.S.
"It Can Happen" reaches number 51 in the U.S.
injury to Trevor Rabin, begins in Millersville, Pennsylvania. The 90125 tour concludes in Buenos Aires, Argentina. Big Generator is released. It reaches number 15 in the U.S.
and number 17 in the U.K. charts. number 73 in the U.K. charts. Yes opens the Big Generator tour in Omaha, Nebraska. "Rhythm Of Love" reaches number 40 in the U.S.
Big Generator is certified gold by the RIAA. 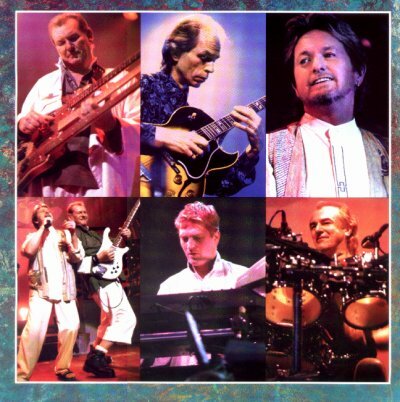 The Anderson Bruford Wakeman Howe album is released. The ABWH tour opens in Memphis, Tennessee. The European ABWH tour opens in Whitley Bay, U.K.
ABWH goes to Japan for six shows. 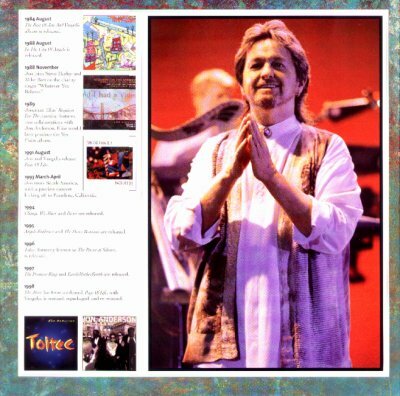 recorded tracks with Jon Anderson, including "Far Far Cry." It peaks at number 15 in the U.S. and number 7 in the U.K.
"Lift Me Up" peaks at number 86 in the U.S.
Union is certified gold by the RIAA. 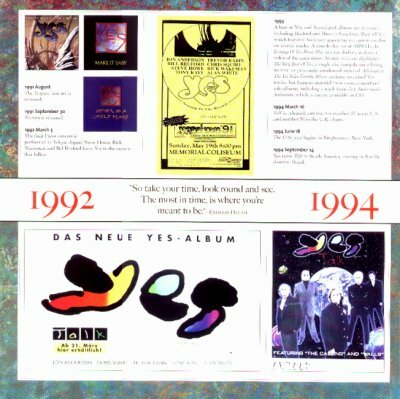 The Yesyears box set is released. Plus hits the shelves, as does a video of the same show. 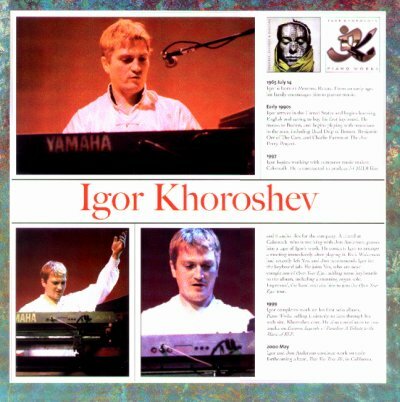 Animation, which is not yet available on CD. number 20 in the U.K. charts. The U.S. tour begins in Binghampton, New York. Steve Howe and Rick Wakeman. Ascension and Keys To Ascension 2. Keys To Ascension is released. band. 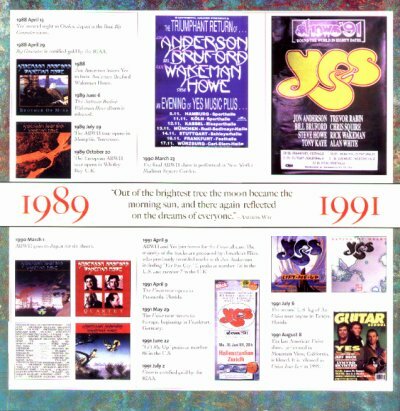 Sherwood also toured with Yes for Talk. (a collection of vintage BBC recordings) are released. The Open Your Eyes tour begins in Hartford, Connecticut. opening in Sao Paulo, Brazil. The second leg of the North American tour begins in Toronto. It is dubbed the "30th Anniversary Tour." The final Open Your Eyes show is in Osaka, Japan. studio album with producer Bruce Fairbairn. The Ladder tour begins in Rio De Janeiro, Brazil. Myrtle Beach, South Carolina House of Blues. 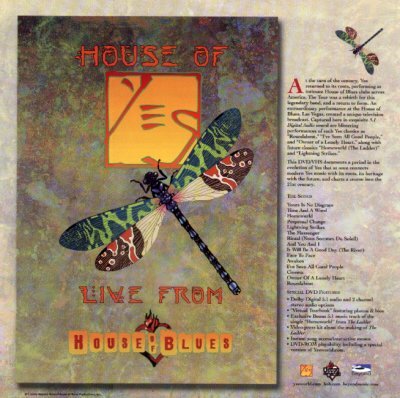 is filmed, and later released as House of Yes. The Ladder tour begins in Europe in Dublin, Ireland. 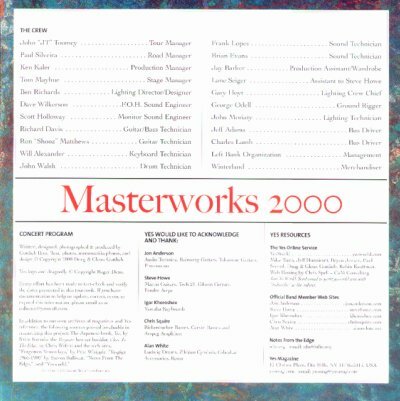 The "Masterworks" tour begins in Reno, Nevada. Yes Collections & Collectors, by Gottlieb Bros.
YESSTUFF, 12 Chelsea Place, Dix Hills, NY 11746-5414. "Don't Make Me Blue" / "You Can Come Along." "Never My Love" and "(Autobiography of a) Mississippi Hobo." 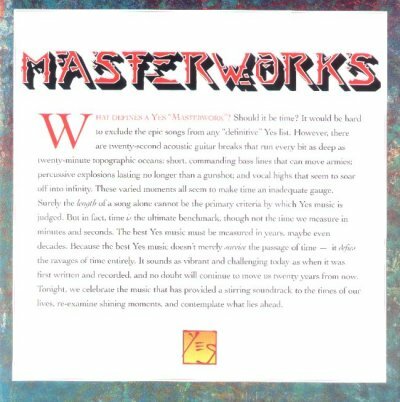 hits number 47 in the U.S. and number 8 in the U.K.
Jon and Vangelis' first album, Short Stories, is released. It reaches number 4 in the U.K.
first solo tour in support of the album. 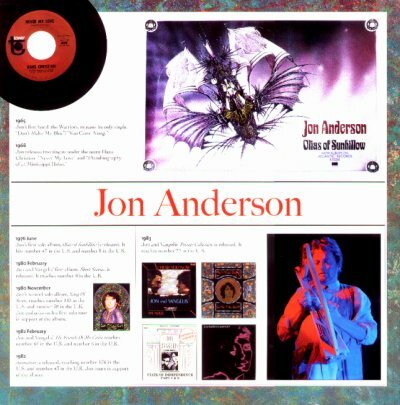 in the U.S. and number 6 in the U.K.
number 43 in the U.K. Jon tours in support of the album. number 22 in the U.K. The Best Of Jon And Vangelis album is released. In The City Of Angles is released. Jon and Vangelis release Page Of Life. Change We Must and Deseo are released. Angels Embrace and The Deseo Remixes are released. Toltec, formerly known as The Power of Silence, is released. The Promise Ring and EarthMotherEarth are released. is remixed, repackaged and re-released. Steve's first recording is "Maybellene," by the Syndicats. 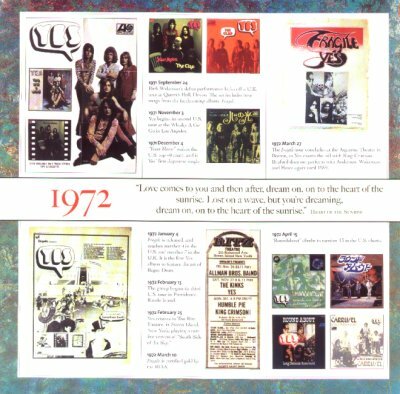 The band releases three singles in all. two of three singles they release. self-titled album is released in February, 1968.
until 1979, and is re-released in 1988.
reaches number 63 in the U.S. and number 22 in the U.K. The self-titled Asia debut flies high on U.S. and U.K.
works with Geoff Downes for years to come. includes Bill Bruford on drums. The Grand Scheme Of Things is released. with the "Pulling Strings" tour. "Turn Of The Century" with Annie Haslam. 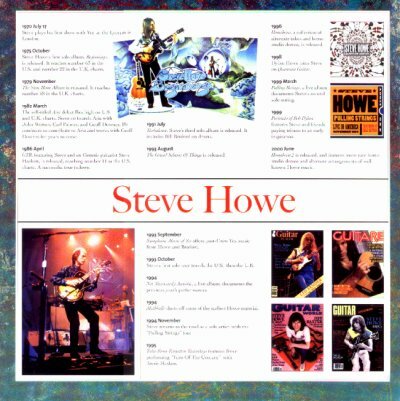 Dylan Howe joins Steve on Quantum Guitar. tribute to an early inspiration. demos and alternate arrangements of well known Howe music. encourages him to pursue music. recruits him to join the Open Your Eyes tour. 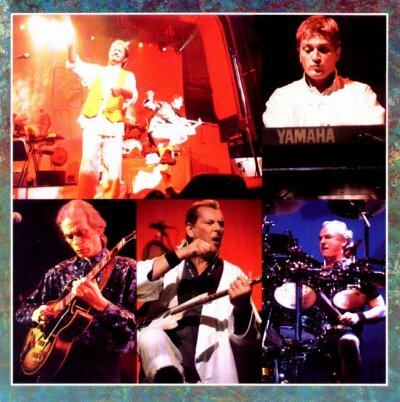 Legends & Paradox: A Tribute to the Music of ELP. album, True You True Me, in California. 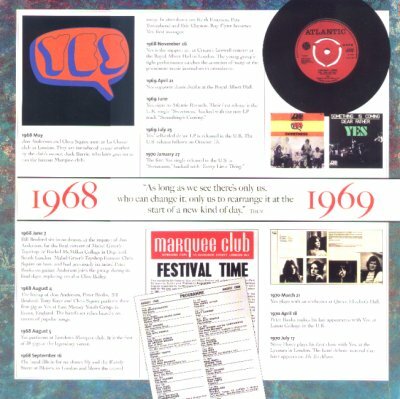 with Toyshop in the days just before they split in June 1968. Shortly thereafter; they reunite as Yes. 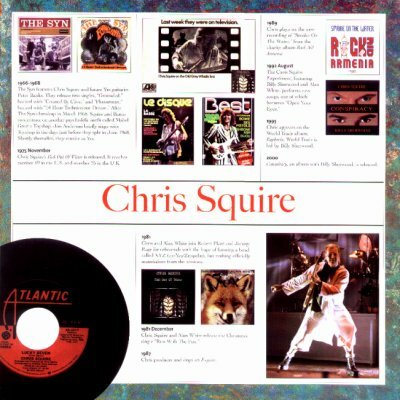 number 69 in the U.S. and number 25 in the U.K.
Chris produces and sings on Esquire. Chris plays on the new recording of "Smoke On The Water,"
from the charity album Rock Aid Armenia. Trade is led by Billy Sherwood. Conspiracy, an album with Billy Sherwood, is released. the Live Peace In Toronto album. Alan plays on George Harrison's All Things Must Pass. Alan plays on John Lennon's classic album, Imagine. 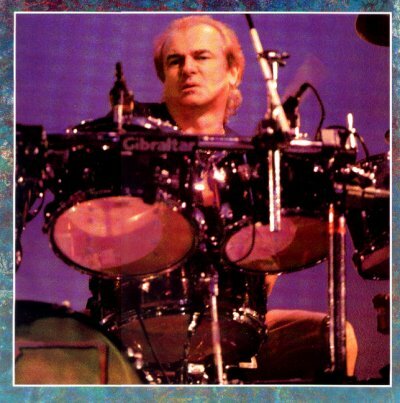 Alan White in Memphis, Tennessee. Harris' E.H. In The U.K. album. Page, hoping to form XYZ. 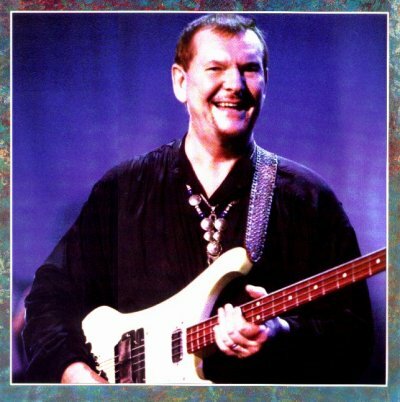 Alan and Chris Squire release "Run With The Fox." 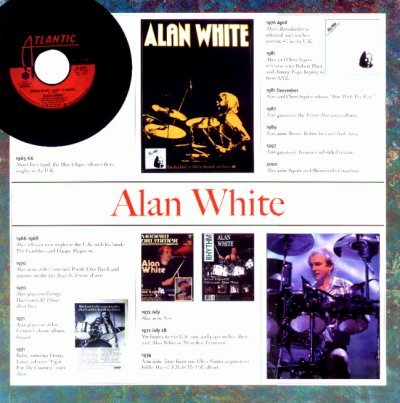 Alan guests on the Wetton Manzanera album. Alan joins Trevor Rabin for Can't Look Away. Alan guests on Treason's self-titled release. Alan joins Squire and Sherwood's Conspiracy. 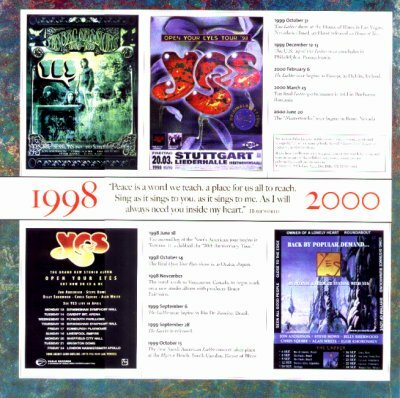 Written, designed, photographed & produced by Gottlieb Bros.
from the Edge," and "Yesworld." performing at intimate House of Blues clubs across America. - Exclusive Bonus 5.1 music track of the single "Homeworld"
� 2000 Beyond Music/House Of Blues Productions, Inc.